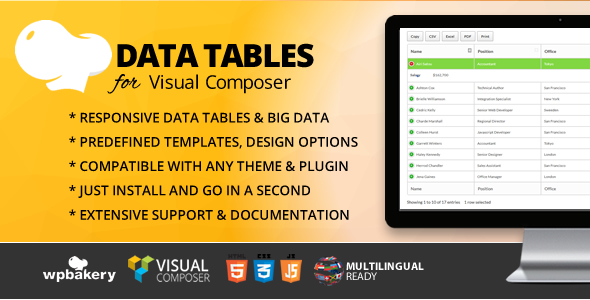 You can create responsive large amount tables with Data Tables Addon for Visual Composer WordPress Plugin on any page. 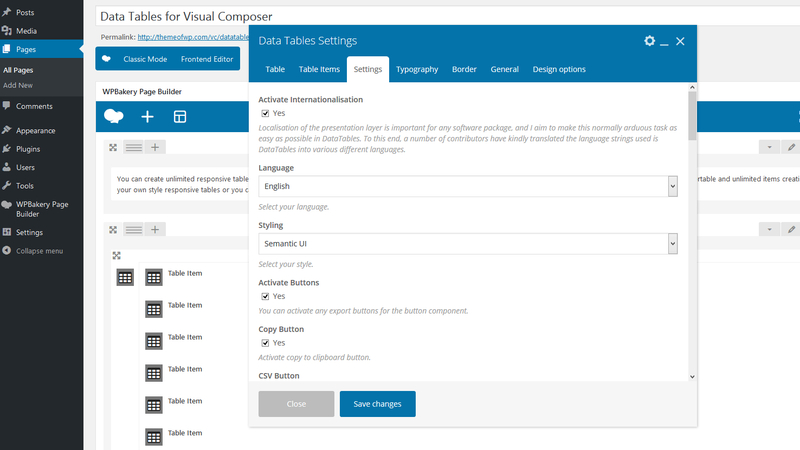 Fully customizable, predefined templates included in the plugin. 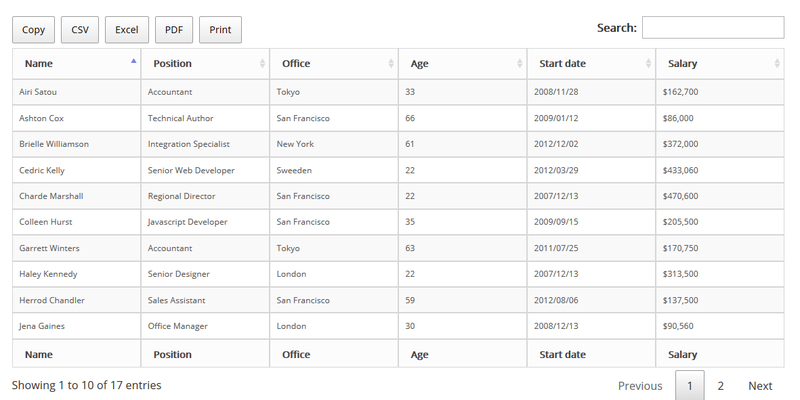 You can add, remove, modify, sort, change or whatever you want with unlimited items simultaneously!